Home / Reviews / Tramps Fashion Compression Hosiery Is Here To Solve All Your Hosiery Problems! Tramps Fashion compression hosiery, LLC is a company with a new line of modern, fashionable compression hosiery and unisex socks offering medical grade compression without a doctor’s prescription. Created by a long time hair stylist who needed them for work but could not find them in fashionable patterns and modern colors, Tramps Hosiery was made for women who want or need the comfort and protection of compression for their legs but also want to look great wearing them. Compression hose are not for grandma anymore! Many people believe that compression hose should only be worn by elderly or disabled people, however, wearing compression garments during work, play, travel and exercise helps provide your body with the benefits of increased blood and oxygen flow to the heart. Worn during long airplane trips, compression hose can help alleviate the effects of Economy Class Syndrome (ECS). 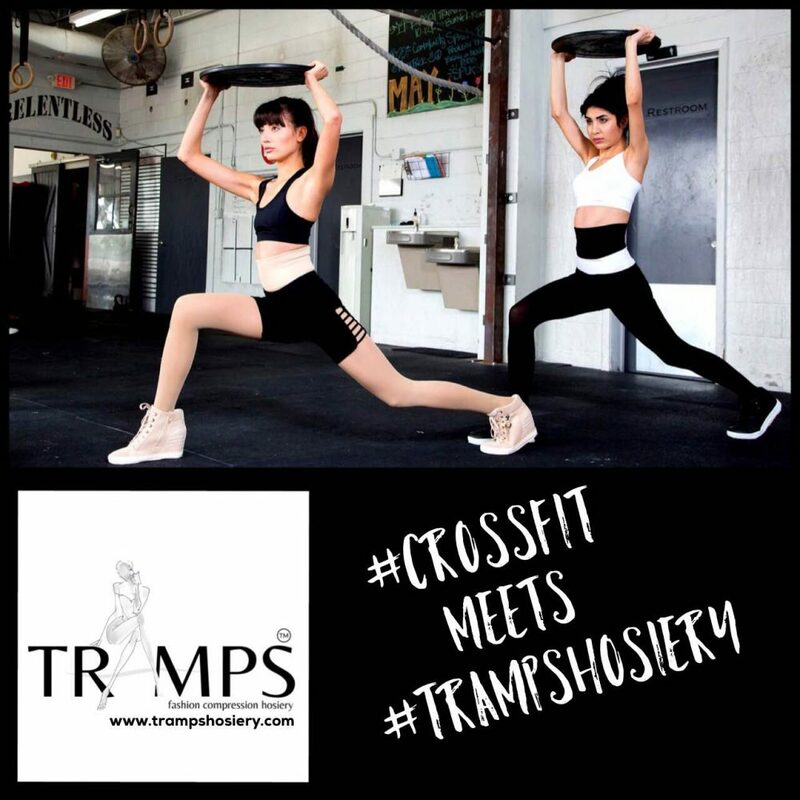 What Separates Tramps Hosiery® From The Competition? Made of breathable fabric blend to keep legs cool. Tramps products have 100% recovery after wear and wash.
Offers 25-30 mmHg medium grade graduated compression without a doctor’s prescription. Open toe design with special thong for maximum freedom and comfort for the toes. Unique engineered knitted panels that firmly hug and lift the buttocks. Bryanna High Waist style features a wide ribbed folded fabric waist band that was designed to wear softly and not cinch the waist. Bryanna is available in sizes S/M (4-12) and L/XL (6-14). All styles gently hug and shape the figure naturally for a smooth look. The specially-designed Emily maternity style is recommended during pregnancy with an expandable belly panel that grows with you. Jocelynne Hip-Hugger style is designed for the younger set, who need the Hip Hugging skirts and pants to coincide with their undergarment without the waistband peeking out. To shop or learn more about the benefits of wearing compression hosiery: www.trampshosiery.com.